As the weather warms up, I’m always looking for new ideas for light, refreshing, and detoxifying dishes. 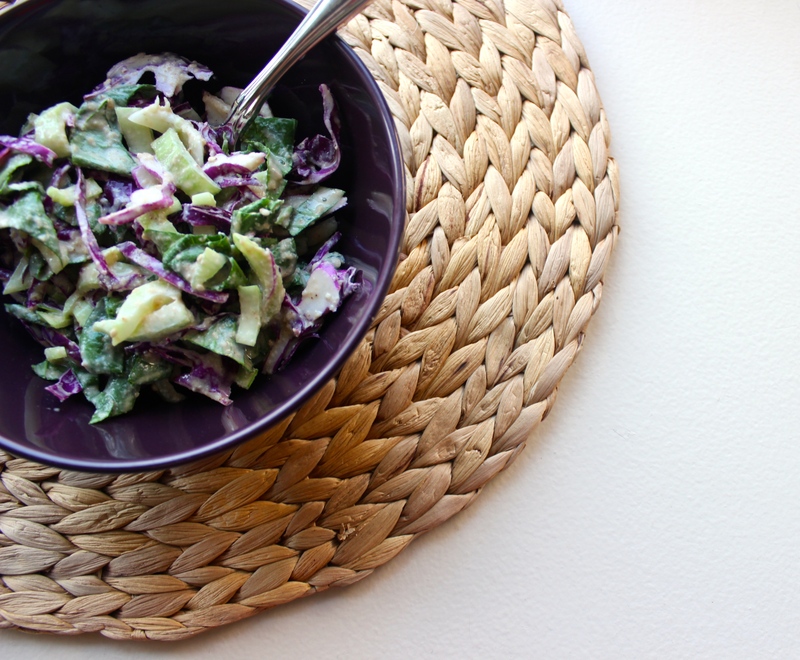 Anything from the cabbage family (like the bok choy and red cabbage in this recipe) is cleansing to the body, which is what we want after our winter hibernation! It’s also a cancer-fighting superstar (AKA a GBOMBS food). Beautiful, crisp, detoxifying bok choy. A true beauty food! GBOMBS are a group of the most nutrient-dense, disease-fighting, health-promoting foods in the world, foods we should eat a lot of on a daily basis. Check out this post for the full details on GBOMBS and how you can benefit from eating them! 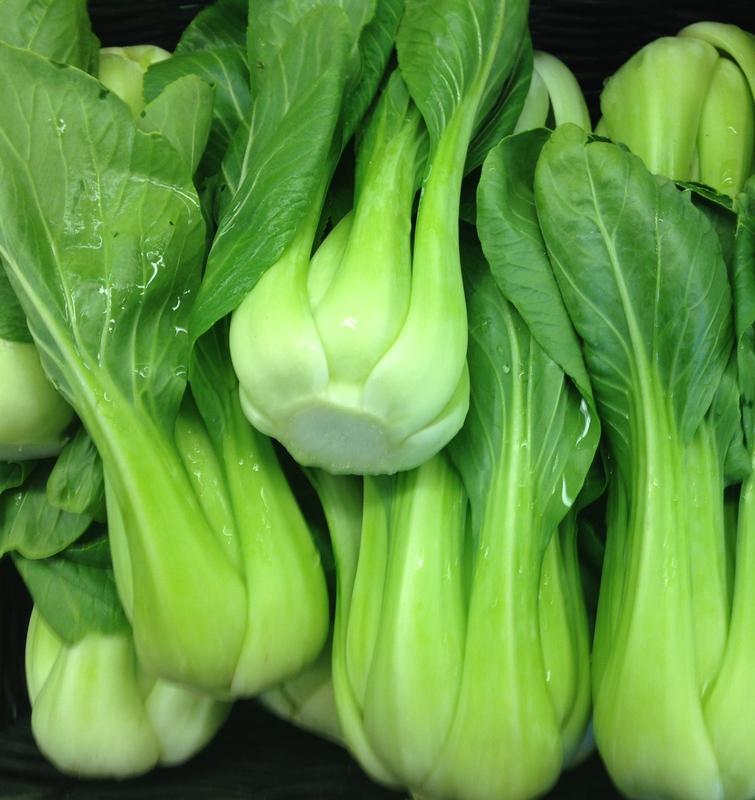 Click here to read about even more of the amazing healthy benefits of bok choy in particular. Now that you’re sold on WHY eating these foods is a good idea, here’s a recipe to try that shows you HOW to use them! yum! what does bok choy taste like? Great question! It’s kind of like a combo between lettuce and cabbage. It has a slightly bitter taste when eaten by itself but not as strong as plain kale would be, for instance. The dressing helps to counteract some of the bitterness 🙂 it is also delicious steamed with a sprinkling of toasted sesame oil on top! This looks delicious! I might add shredded carrots to really make the colors pop. Can’t wait to try it. I’d never thought of eating bok choy raw!